My wife Anne and I have been full-time RVers for over 4 years now. 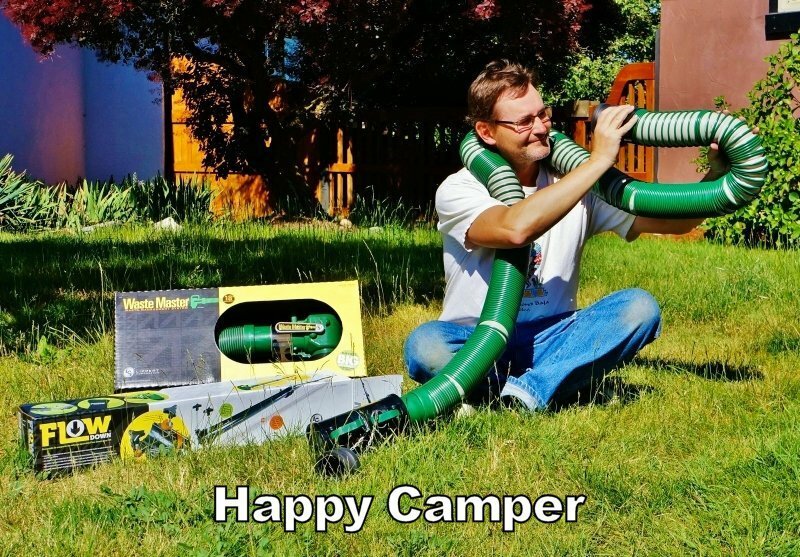 Most of that time I’ve used a Valterra Viper sewer hose. 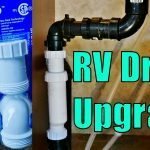 Compared to the cheapie sewer hose supplied by the dealer in the initial RV starter kit, it was a large step up in quality. Lately, our Viper hose has been showing its age. Twice I have had small tears appear near one end of it and have had to shorten the length a foot or so to prevent a leak. It looks like all that desert sun has finally weakened the rubber material. So, I was more than thrilled when last month the Lippert Components (LCI) company contacted me and offered to send out their brand new waste management system for a Love Your RV! review. Anne thought I had gone off the deep end to be so excited about a new “poo” hose. She clearly isn’t the one who does the dirty deed. Also, this isn’t a run of the mill RV sewer hose and connectors. 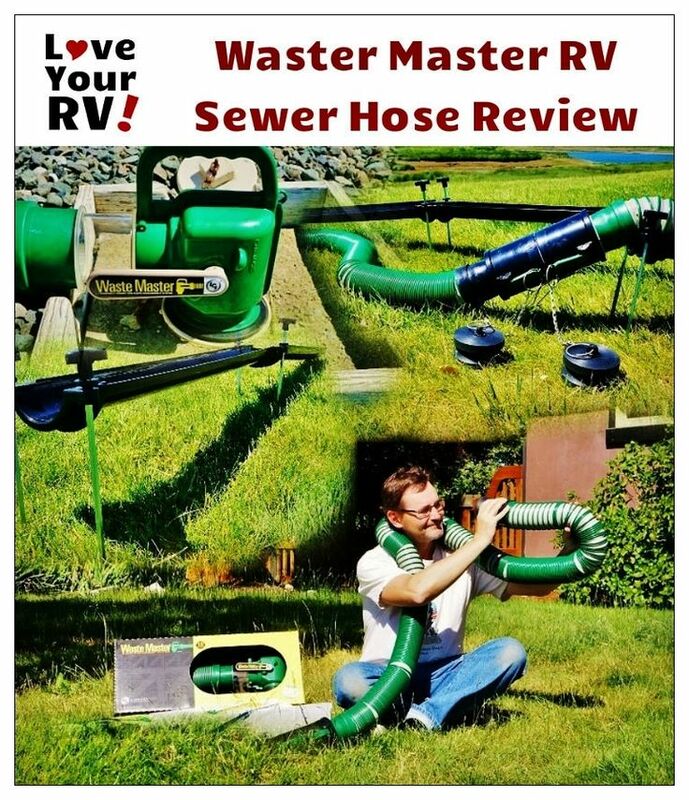 The Waste Master RV Sewer Management System incorporates some very cool new innovations to RV sewer products. I could hardly wait to get my hands on the system and check them out for myself. 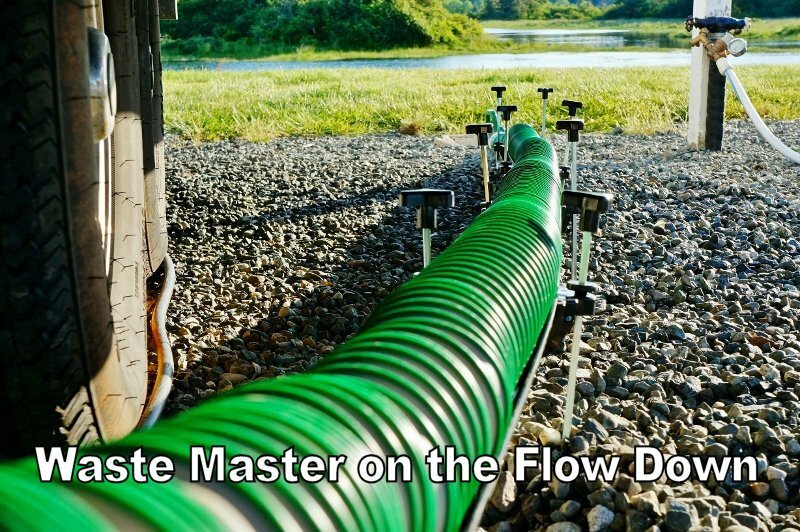 What’s in the Waste Master RV Sewer Management System? 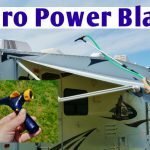 I had explained to Lippert Components my specific needs as a full-time RVer and avid boondocker and they were nice enough to include several optional add-on pieces. 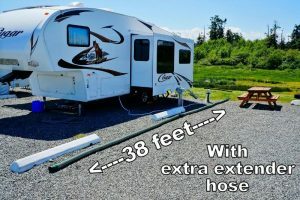 I would need to be able to extend the sewer hose at least 25 feet out for those older style campgrounds with the sewer holes placed way at the back. 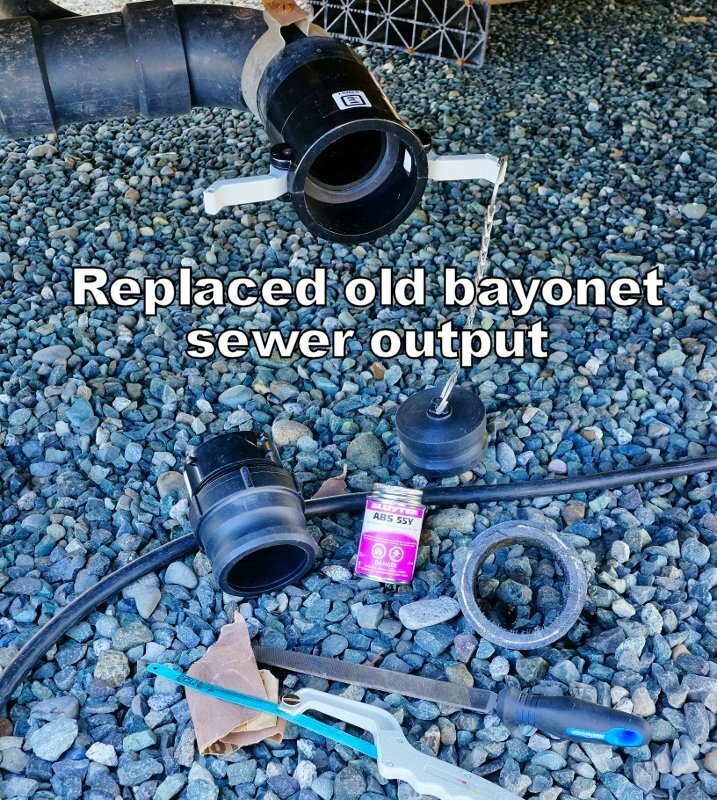 Plus, I wanted to retain the ability to use my old hoses and RV sewer gadgets. Unlike some RVers that stay in only a few RV parks with conveniently located sewer drain holes, I travel extensively and stay in a large variety of RV parks and campgrounds, plus our stints out dry camping. I end up using many different styles of sewer dump and drain arrangements. I’ve even been in parks where the sewer hole was on the opposite side of the rig! First thing I needed to do to use my new Waste Master system was modify the sewer output pipe on my Cougar fifth wheel. 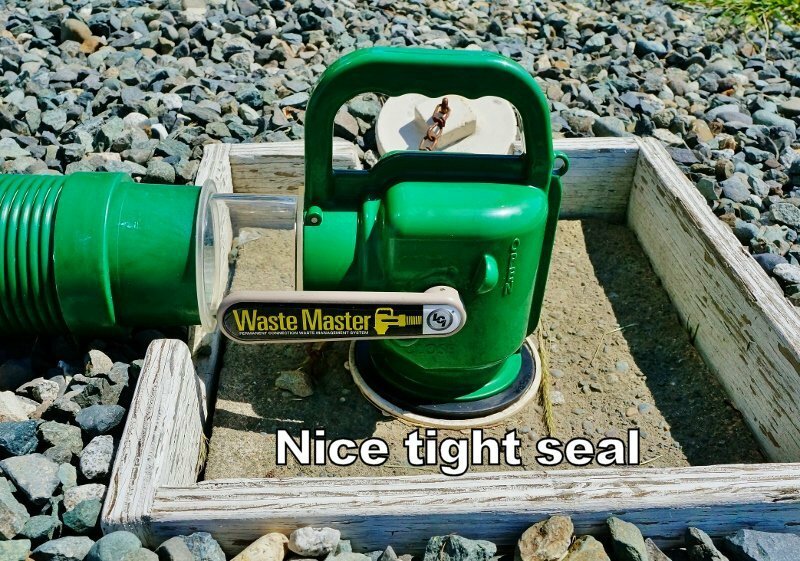 Rather than using the standard RV bayonet style connection the Waste Master uses an improved cam-lock connector. The mod is fairly straightforward, just saw/file off the bayonets, sand and clean the surfaces, then glue on the new cam-lock connector. 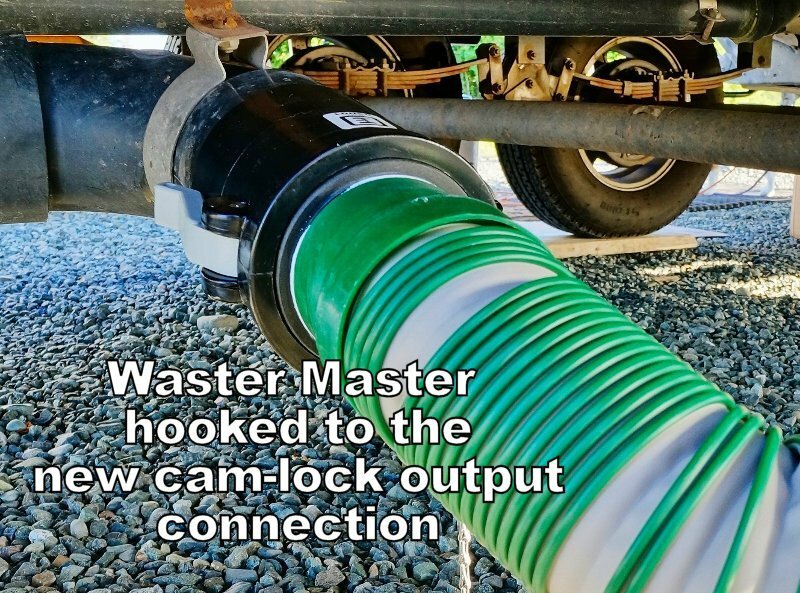 After the new cam-lock connection sewer output is ready hooking up the Waste Master is a breeze. The cam-locks are awesome! They make for a very secure and leak proof connection. At the other end of the hose is a 90-degree elbow with a rubber sewer donut built into the end. 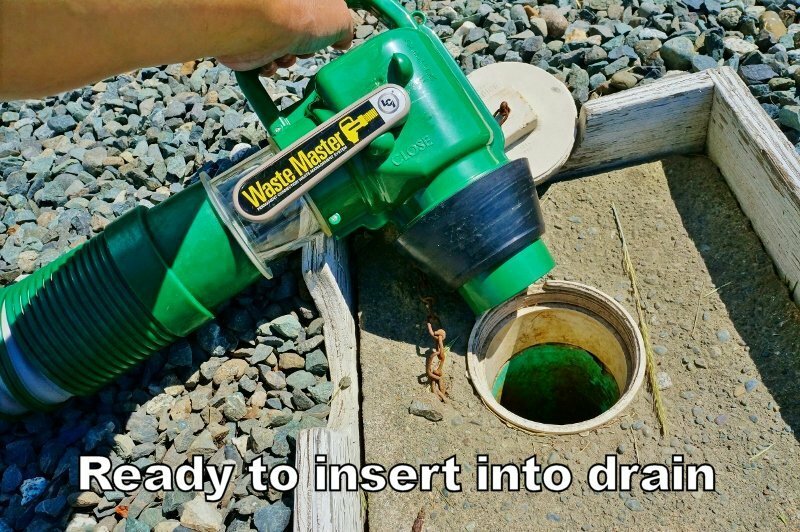 This makes it easy to use in any sized sewer drain. One thing that has been an issue for me is poorly designed or worn out sewer drain holes. I’ve been using a screw-in type connector and many times it’s difficult to get a good seal. I think this rubber donut design will work much better. No more fiddling with a stinky sewer drain trying to get my sewer connector to thread in and point the right direction when tight. There are many cool new features which in my humble opinion make this RV sewer hose stand above the rest. 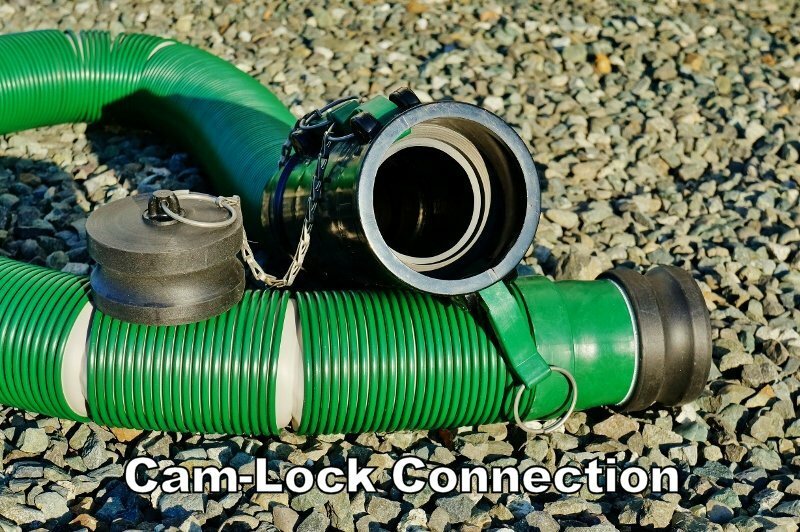 Cam-Lock Connections – They are night and day when it comes to a quality compared to the typical bayonets used on most sewer hoses. 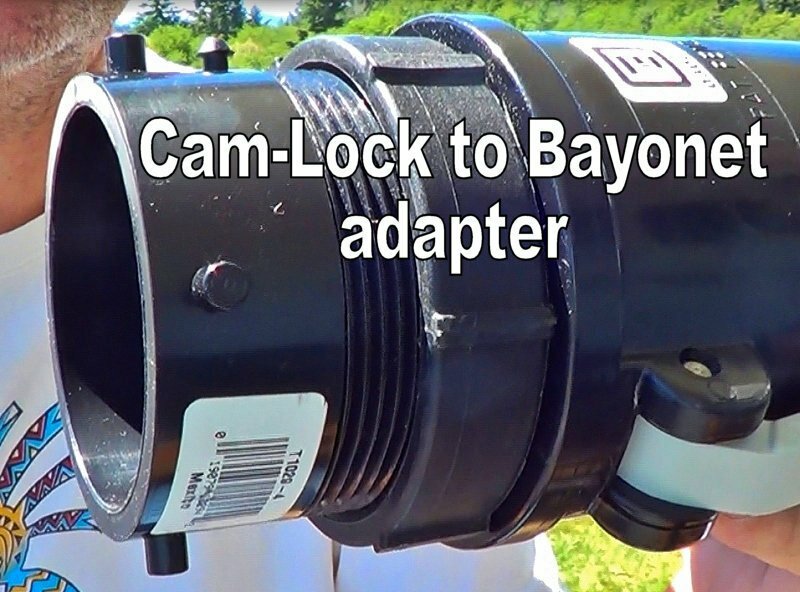 The cam-locks have a very heavy industrial feel to them and built to last. External Hose Ribs – Whereas most sewer hoses have the ribbing on the inside of the hose the Waste Master places them on the outside. This makes for a smooth inner pathway for waste and allows you to only extend what length you require for the hookup. On/Off Valve on the Hose End – I really like this feature. I have been at a few parks where the sewer system became plugged or overloaded and the drains backed up. At least with this extra valve, I can shut the flow down quickly and not flood our campsite with the stinky stuff. 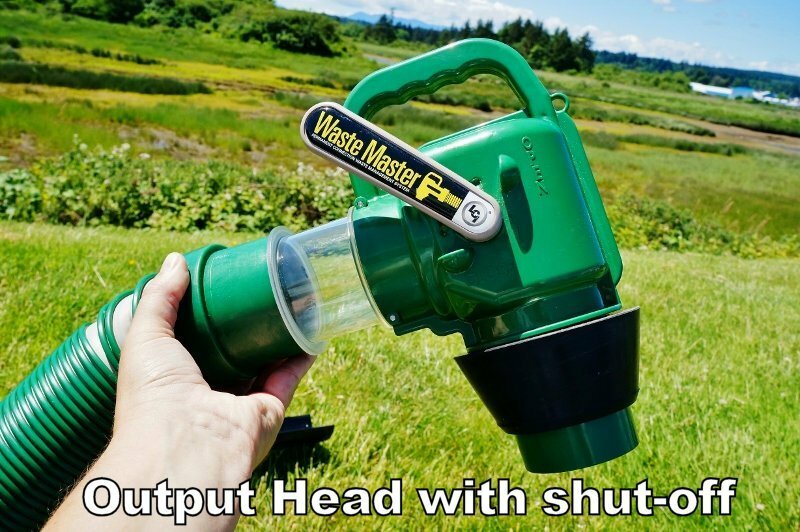 Made With Heavy Gauge Plastic – All the plastic pieces in the Waste Master are super heavy duty. I like the solid feeling 90-degree elbow with the large built-in handle. 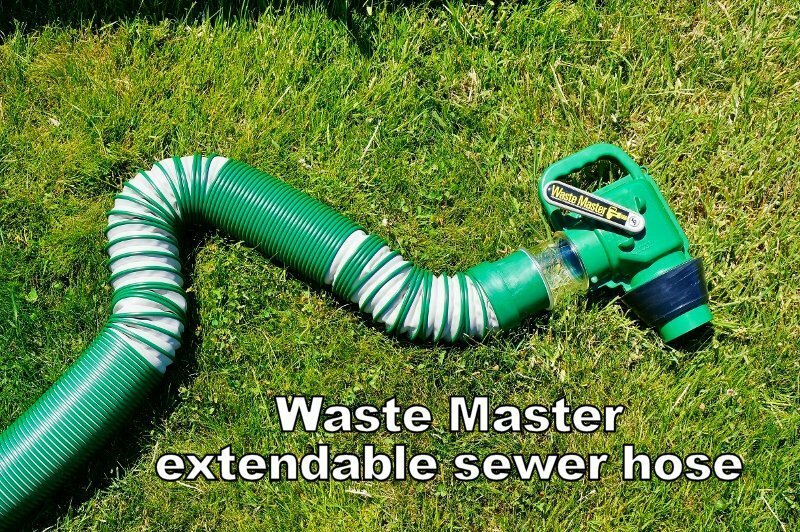 Great Extension Ability – The Waste Master hose measures 5 feet compressed and a whopping 20 feet fully extended. 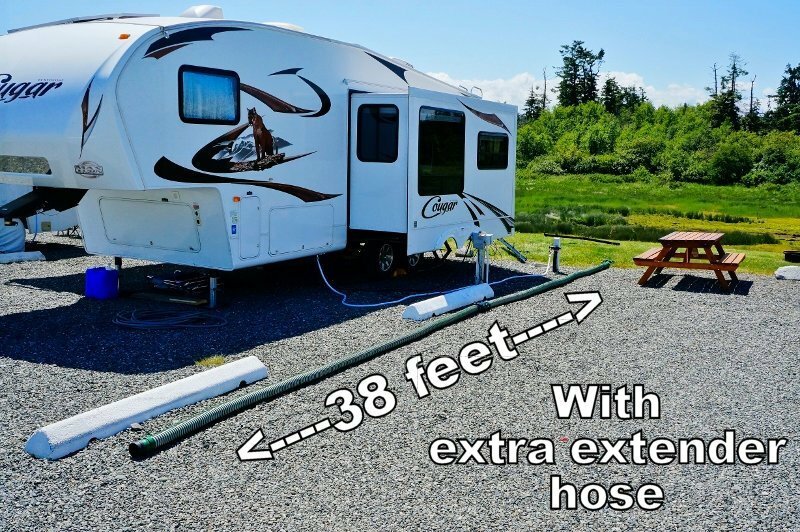 Unlike other RV sewer hoses, it stays in place to exactly where you extend it to without snapping back. Clear Sewer Window – I love the built-in clear section of hose for monitoring the waste flow, very handy when flushing out the black tank. 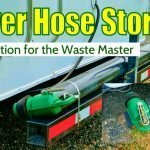 Hose End Caps – Waste Master hoses come with end caps to keep nasty odors in the sewer hose and not in or around the rig. The Flow Down comes with several sections of plastic half-piping and a bunch of adjustable feet. 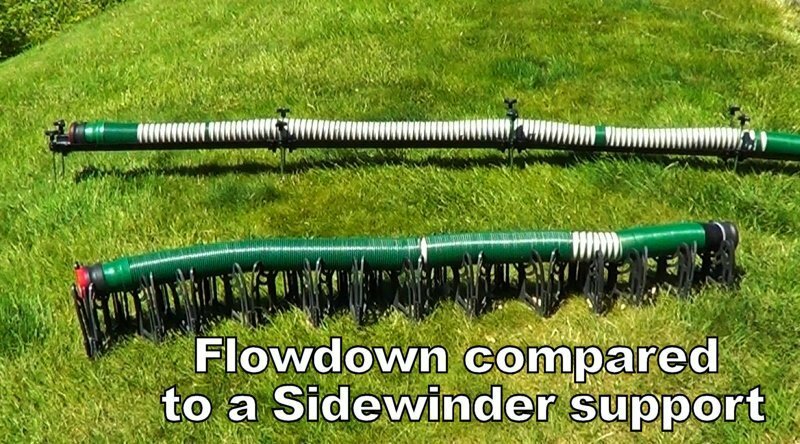 It is a little more complex to deploy than my Camco Sidewinder hose support but has one feature that I really like. 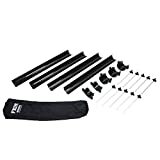 The vertical metal support rods are independently adjustable. 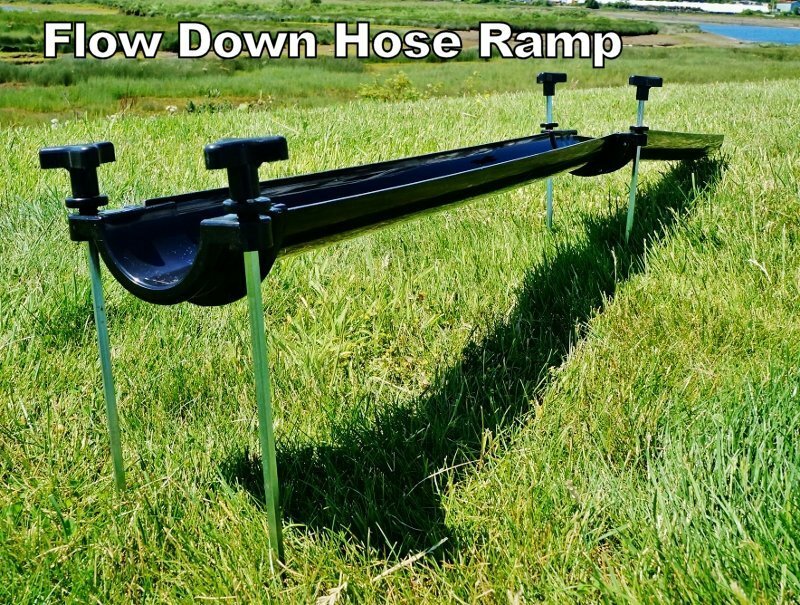 This makes it easy to have the hose supported over all kinds of obstacles or undulating terrain while still maintaining a downward grade. I was impressed with how easy they were to adjust. 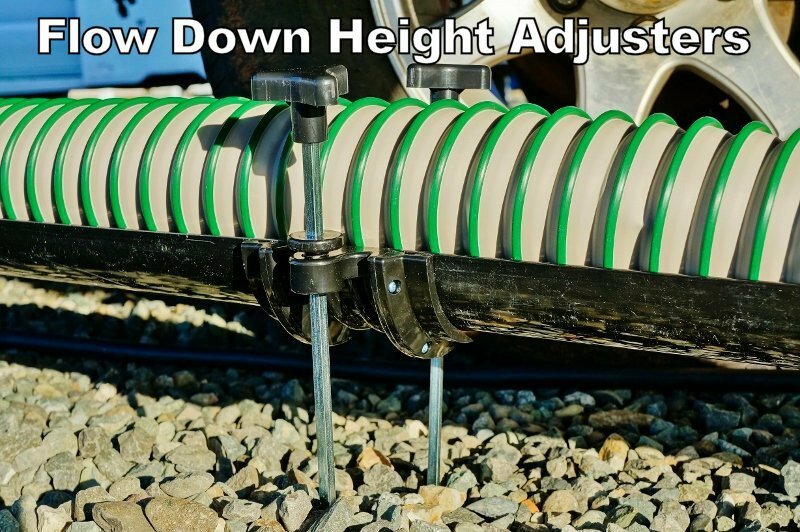 They can also be used the other way around with knobs down for soft soils. One thing I was worried about when switching my rigs sewer output to the cam-lock system was losing the ability to use the old hoses and gadgets. I was pleased to learn they had an optional adapter available for folks that still need a bayonet type connection sometimes. You never know when you may want to use a handy sewer gadget of some kind, like say a waste tank back flusher. I have to admit the products are a little pricey compared to the norm but in my opinion well worth the investment. Quality and innovative features are certainly there and not hype. Dealing with the crappy job of dumping the sewer tanks is something that every RVer has to do and do often. Why not have convenient, well-built tools for the job? 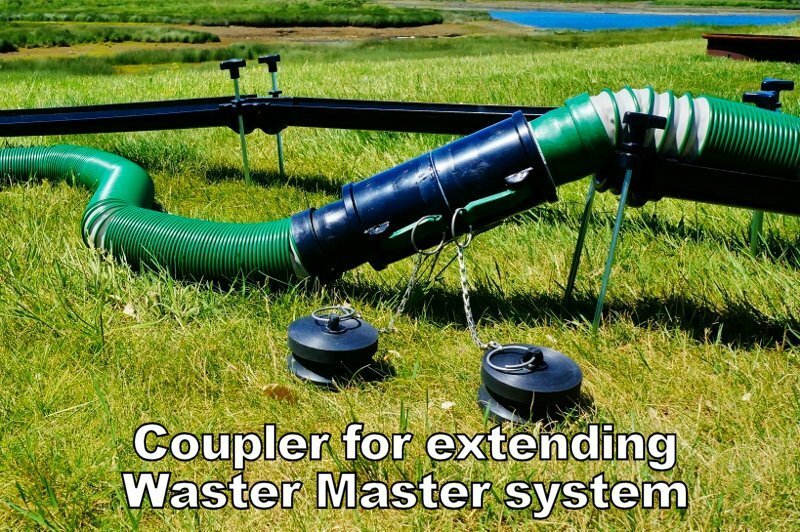 Judging by the look and feel of the Waste Master System, it should last me a long, long time. I’m sure other RVers will soon be enquiring about my slick new waste evacuation system. Kind of looks like something NASA would build for the space shuttle. The only drawback to this sewer hose I see is the elbow section doesn’t detach making it harder to store. 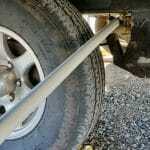 Many RVers including myself store hoses in the rear bumper or have a round ABS plumbing pipe attached under the rig. Being a full-time RVer with a relatively small sized rig my basement storage is at a premium. *Update* – I have solved my hose storage problem.